Remember when you were 10, and desperate to make it to 12, or 19 and lied about being 21? You thought there was something magical about being older. Well, even in our mid-50’s (oh, there I go again), being older IS better than the alternative, right? But I digress. When I am introduced to a child, I estimate the child’s age and add two years. Then I say, “You’re 12, right?” and watch the child break into a grin and say, “I’m 10.” And I know I have made a friend for life. But I would never upon meeting someone above the age of 50 even consider mentioning age, let alone adding two or five years to my estimate in an attempt to flatter them. In fact, should the issue of age come up, and my new acquaintance says he/she is X, my polite response is “I would never have guessed”, despite the fact that I had already guessed the actual age was X plus 5 or so – as I allow for that acquaintance to be suffering the same brain/body disconnect as I, and he/she really is X plus 5 years old. Further it is likely that my new acquaintance has no idea that despite what my age appears to be, it is really mid-50’s. I can delude myself in myriad ways – my suits from 20 years ago still fit (if I ignore that I now don’t button the jacket – necessary, although my weight hasn’t changed). I note to myself that I still work out on the elliptical to a heart rate of 140 – and it certainly has nothing to do with aging that now it is 30 minutes, not 50. And those things in my ears? Lots of people have them – certainly any of us who regularly went to loud rock band dances in the 1980’s – oh dear, make that the 1960’s. And everyone know those folks at the DMV get a bunch of stuff wrong - just LOOK at what they put on my drivers' license! I need to write to the Governor. But then my mid-50’s brain bubble of self-image is faced with the cruelest possible insult, the %^#$@ mirror. The deviation between ME and that woman in the mirror is astonishing – who the hell is that old bat? Sigh. Maybe I need a new mirror – you think? Joan Ogden is a Phi Beta Kappa graduate of UC Davis with an MS from Michigan State University, both in mathematics. She taught mathematics at a variety of colleges and universities, worked with the Department of the Navy on the Apollo Project (she thinks she must have been age 5 at the time), began her actuarial career in 1976, and she has been consulting since 1985. In community activities, she is a recipe tester for America’s Test Kitchen, a volunteer as a healthy control for muscle and vascular research at the U/VA and a trained Community Emergency Response Team member. 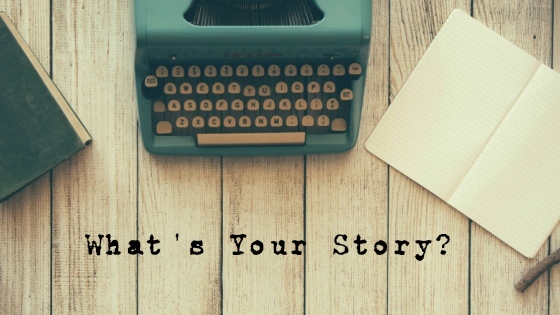 Do you have a personal essay on aging you'd like to share? If so, I'd love to read it. Send it my way!